Hello! My name is Nadine and this is my journey of reinventing myself from a single executive from the middle east to a married housewife and mother in the USA. I aspire to make everything from scratch and to be fearless in the kitchen. 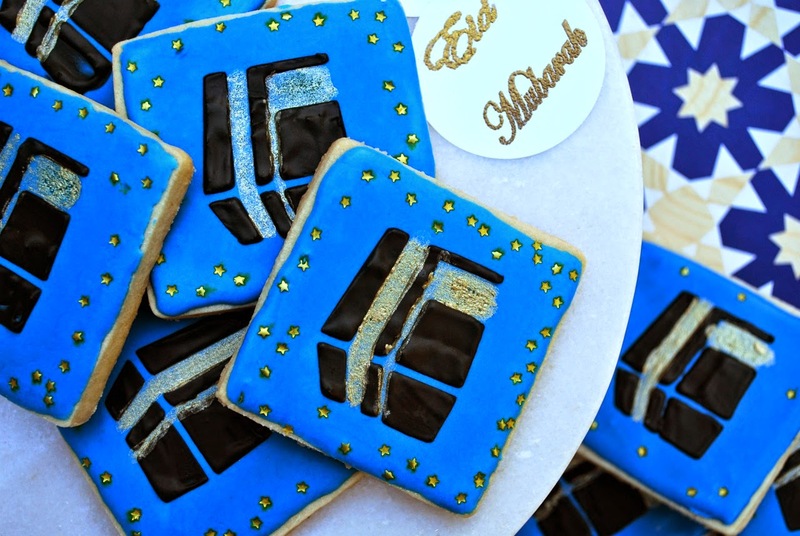 Eid Sa'eed! Eid Sa'eed is Happy Holiday in Arabic. Eid al Adha is around the corner, in fact it is this week end. We are luck this year because it falls on a week end which means we can have a whole week end of celebration as a family. 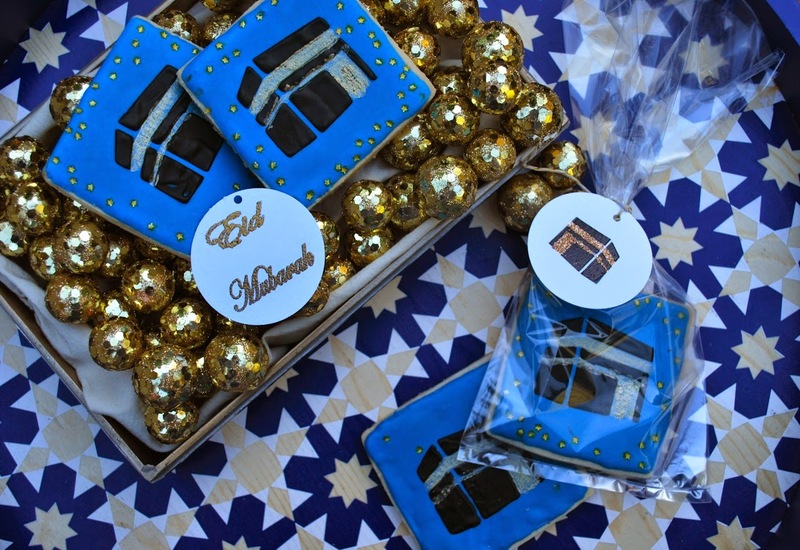 We also had an Eid pot lock party at Alya's Arabic School last week end. 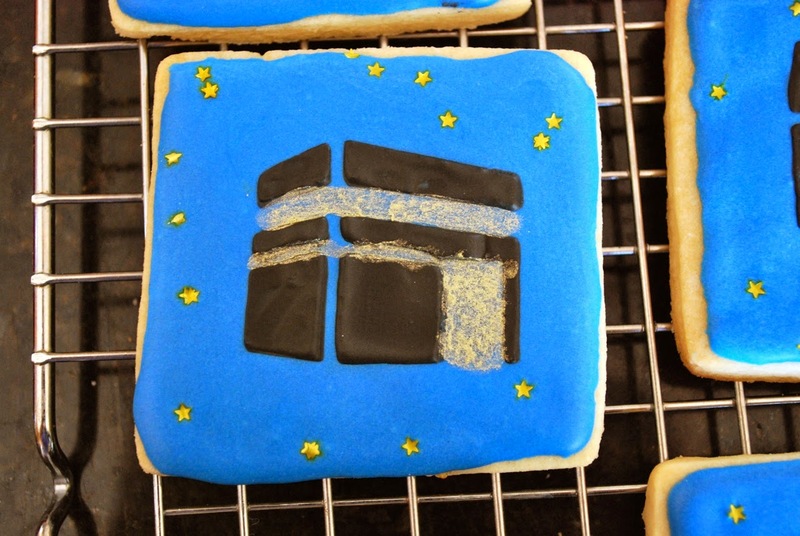 I decided to make these adorable Kaaba cookies. 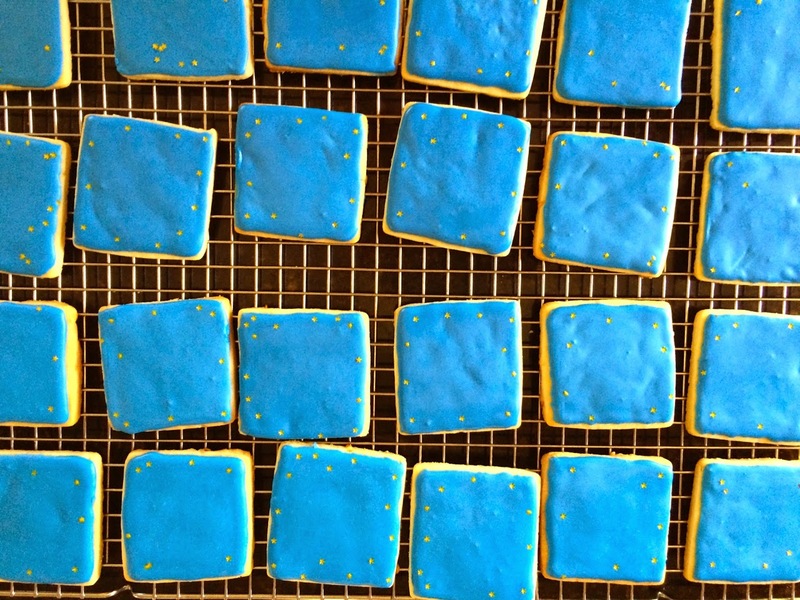 I used the same sugar cookie recipe, the same royal icing recipe, and the same stenciling technique. 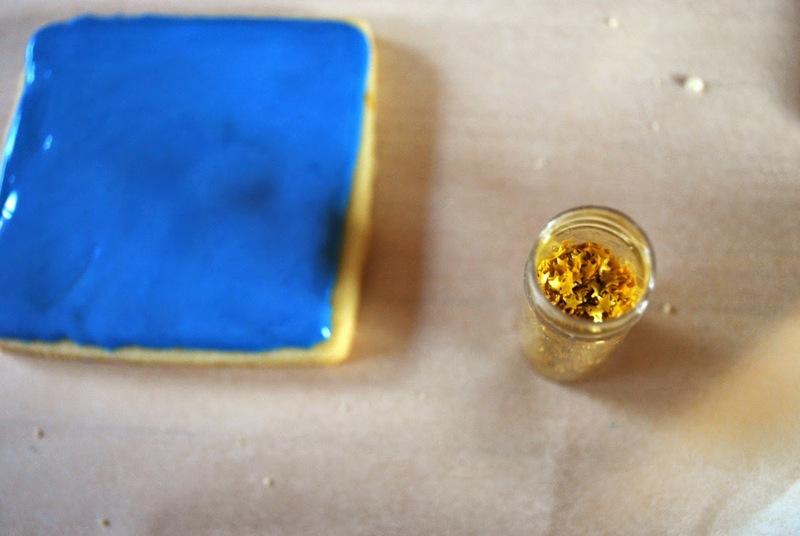 However, this year, I took it up a notch and I added edible star glitter and edible golden dust details. 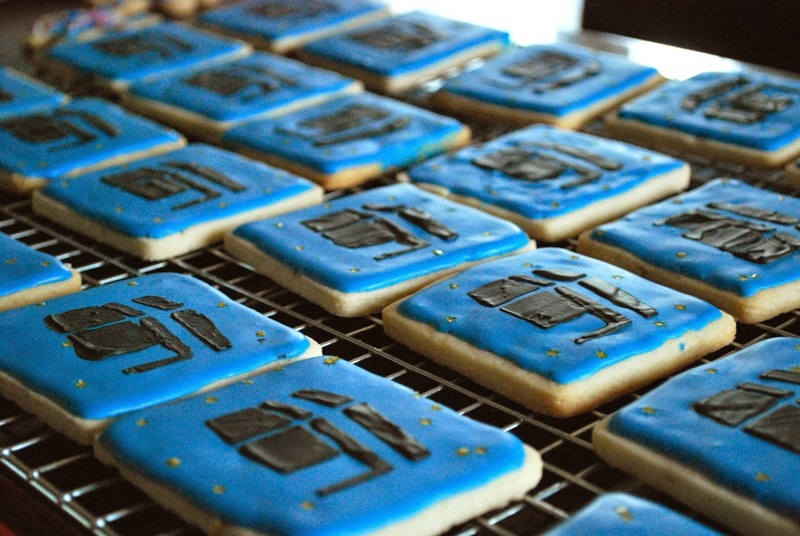 These cookies did not last for long, they were grabbed by little and big hands and everybody was taking pictures of them. I must say that I was very flattered especially that I spent a lot of time working on them. 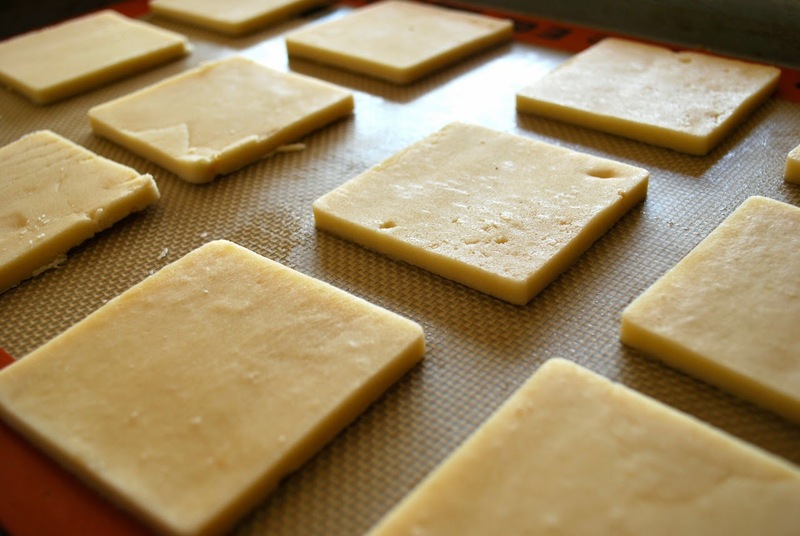 I started the way I start all my sugar cookies by making a batch of the sugar cookies dough. To read the recipe, click here. 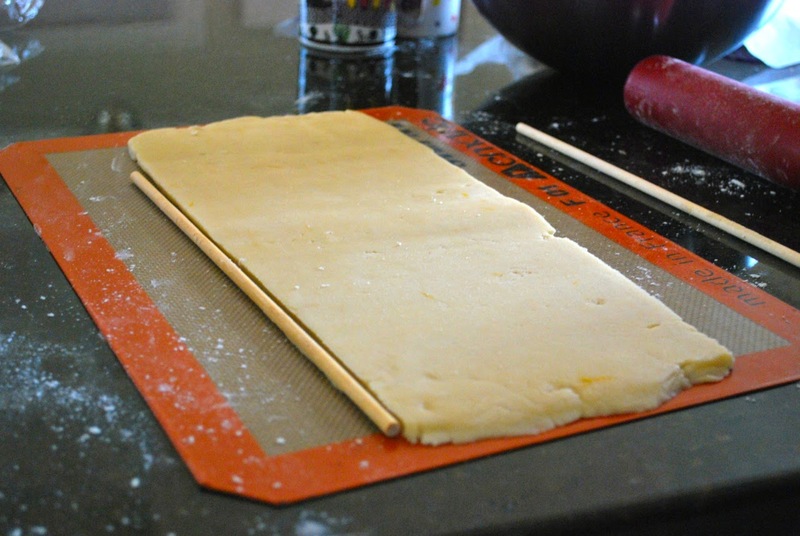 Roll the dough and put it in the fridge for 20 minutes. 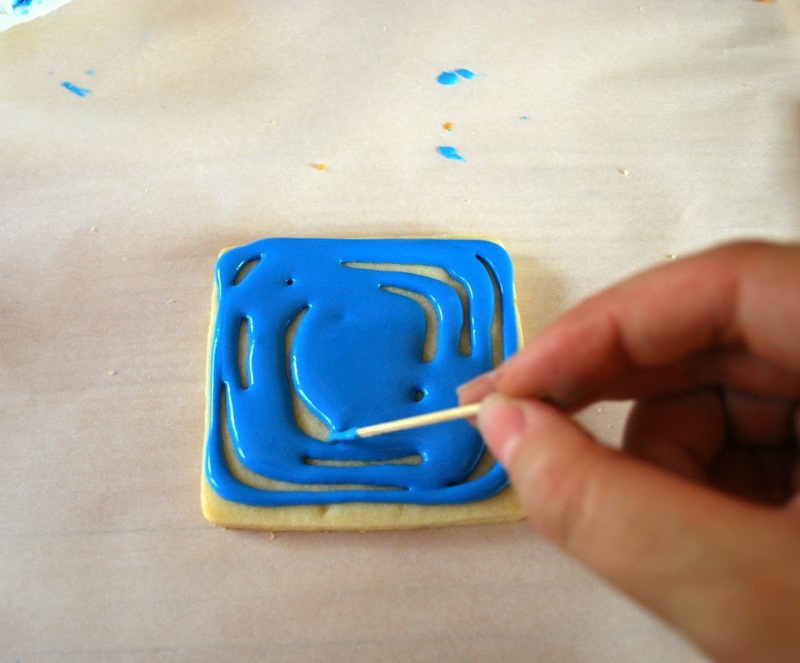 Cut out the cookie using square cutter. 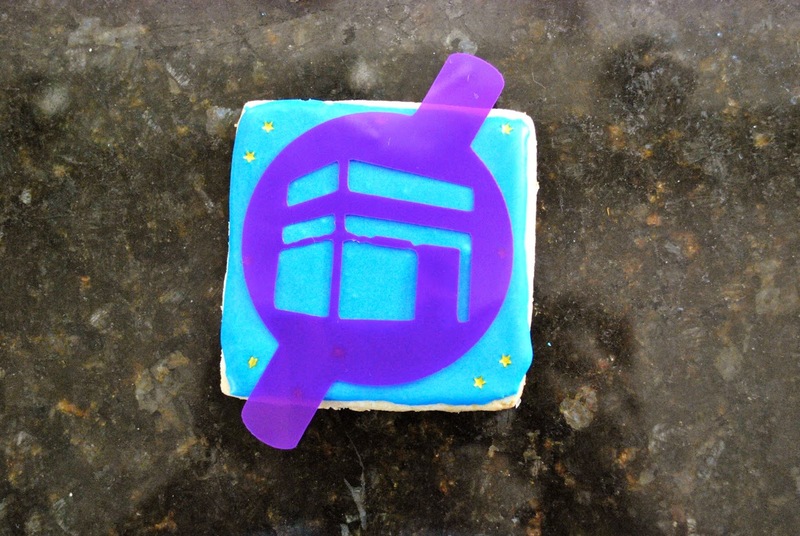 When choosing a cookie cutter, make sure that it is bigger than your stencil. 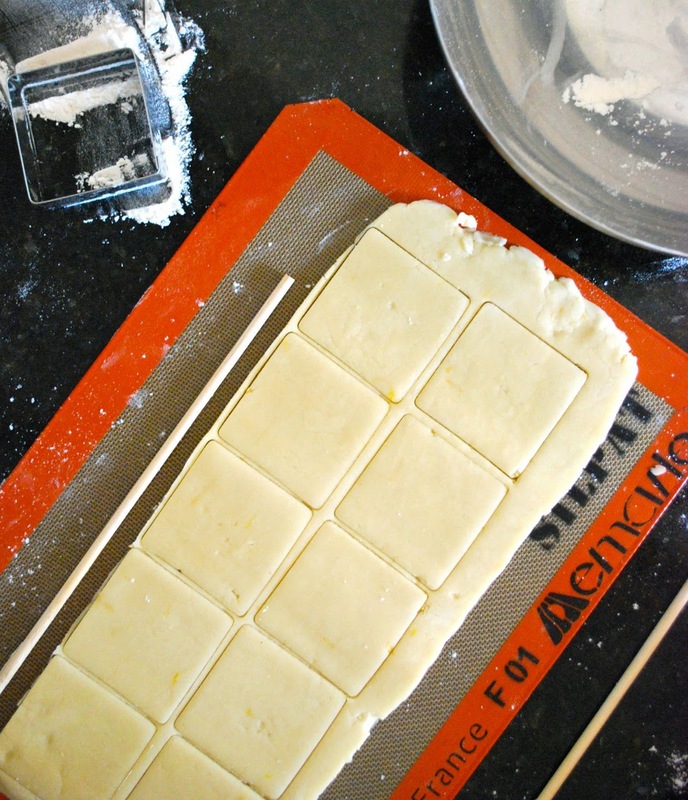 Place cut out on a baking pan lined with silicon mat or parchment paper. 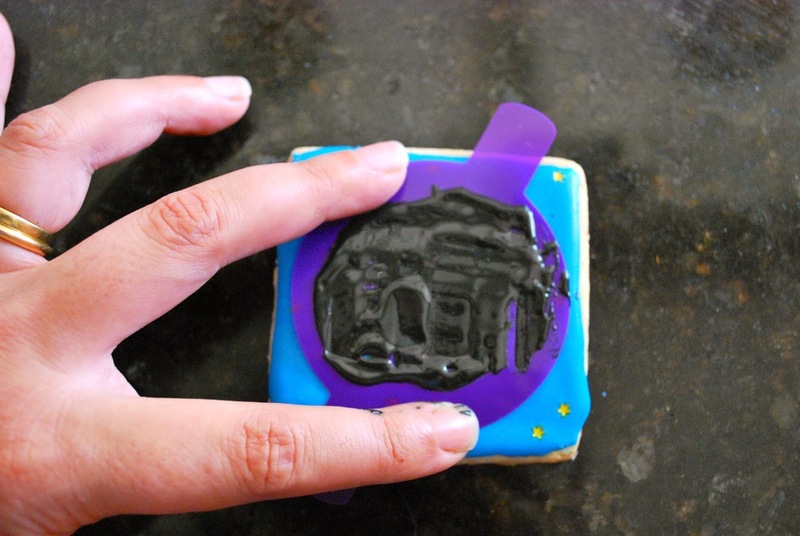 Follow baking instructions and let the cookies cool down. Prepare the icing per my inching recipe. Please read the instructions as well. Click here. 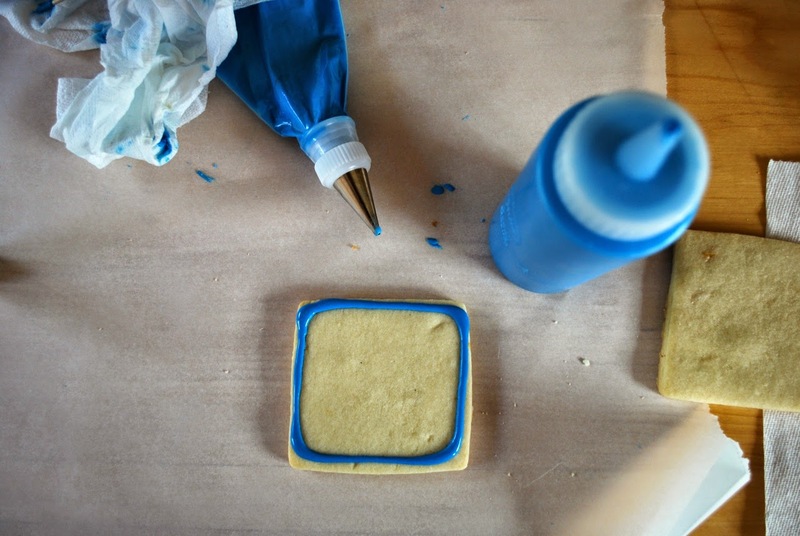 Line the cookie using a piping bag or a squeeze bottle. 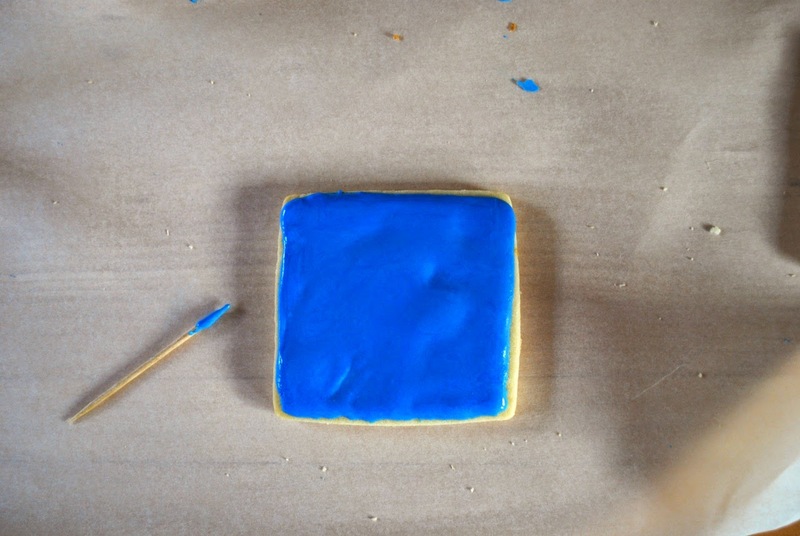 Flood the cookie with flooding icing. Smooth it using a toothpick. 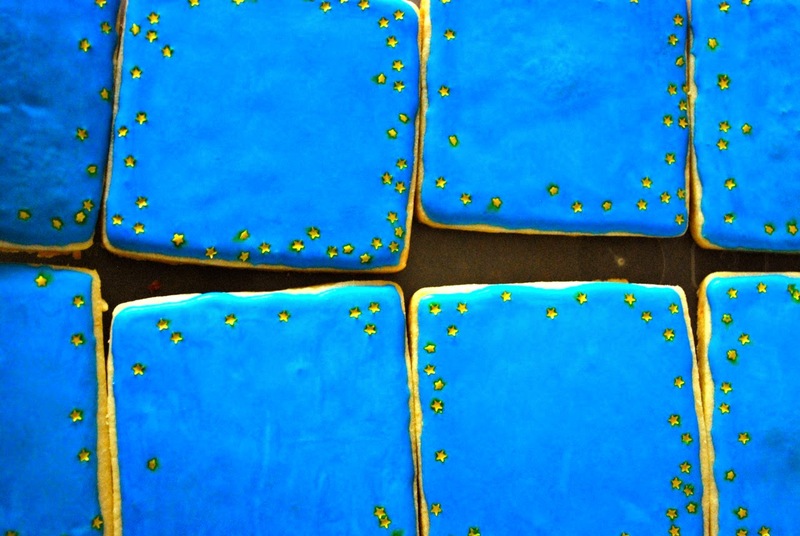 Now as it is wet, you can add the edible stars. 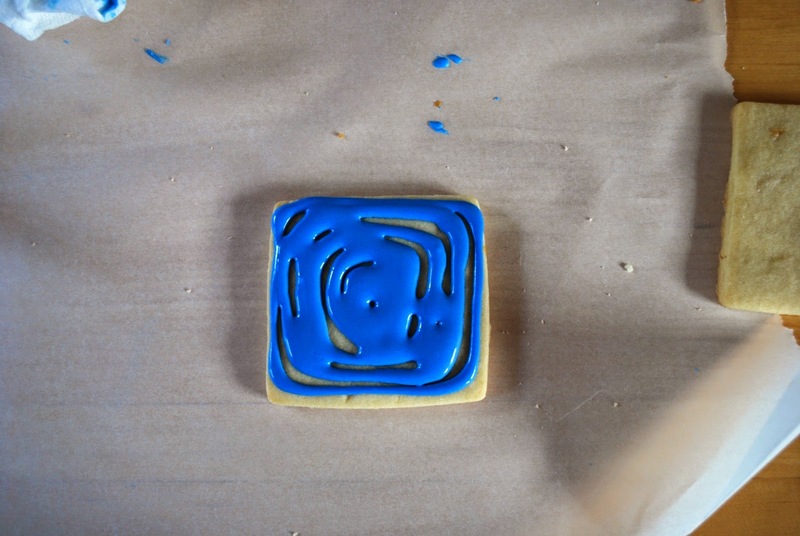 The wetness of the cookie will help the details adhere. 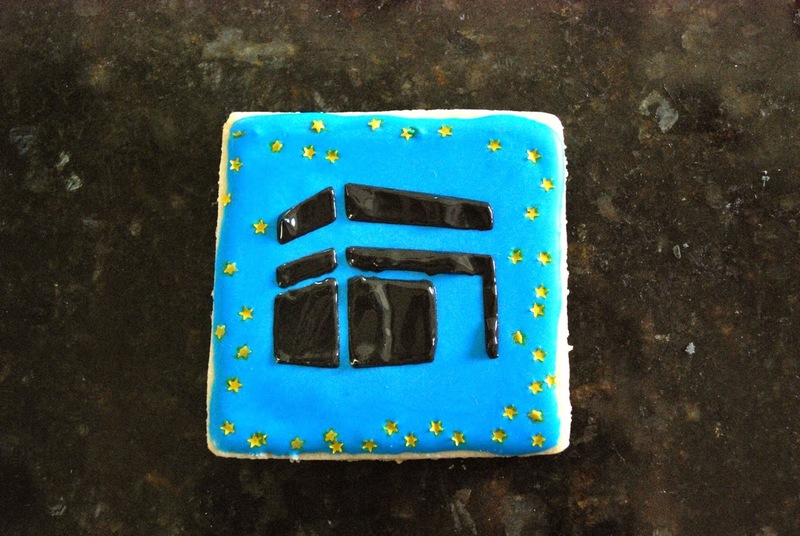 I love these stars, they add so much to the cookie. 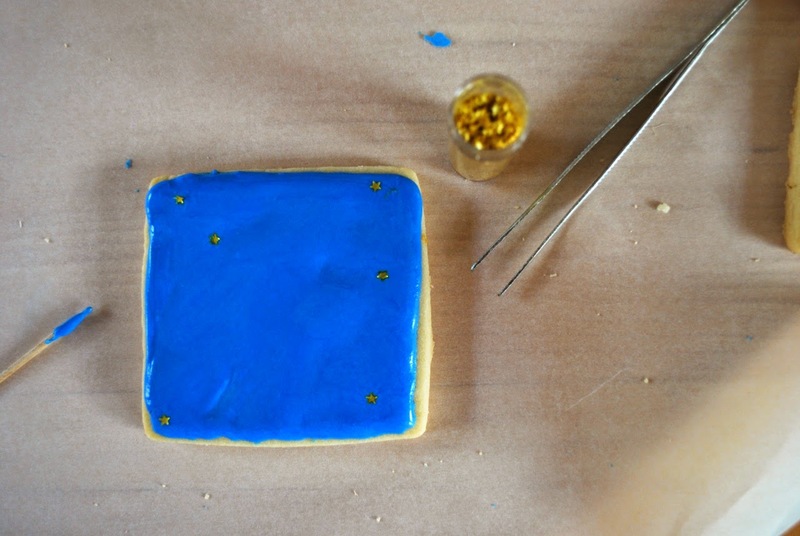 I use a tweezer to pick and place the stars on the cookie. 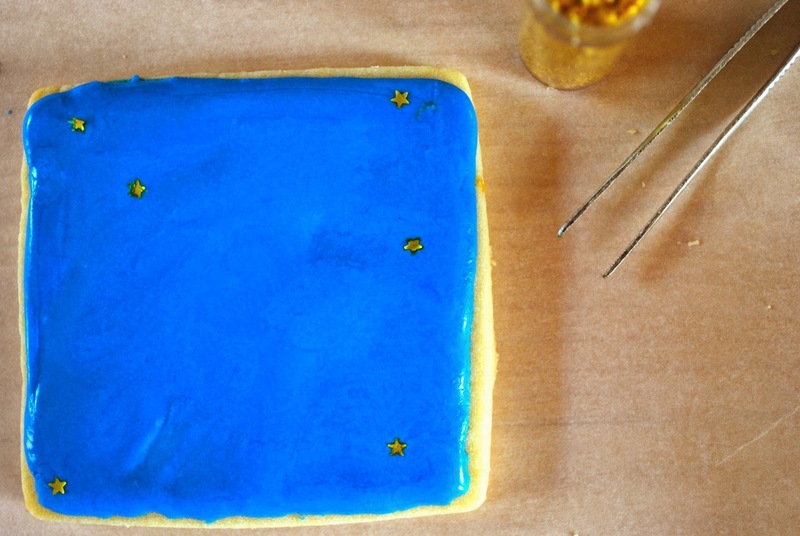 Gently place the stars on the cookie. It is time consuming but the results are fabulous. 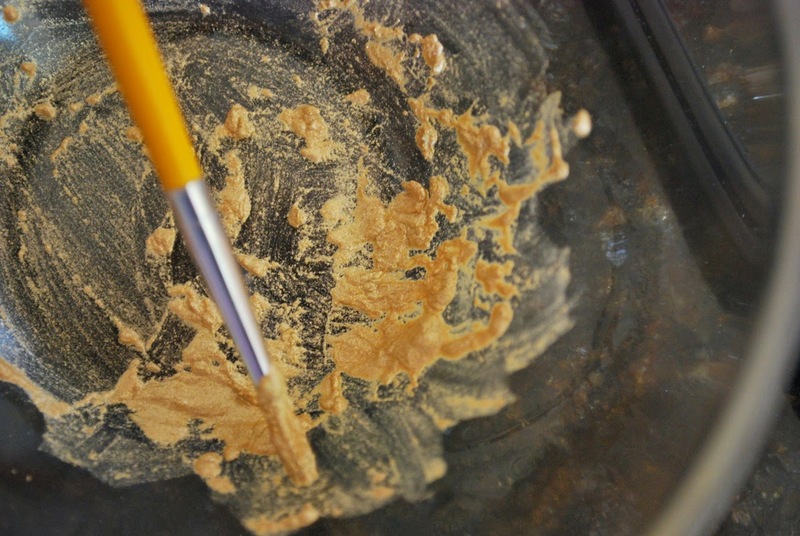 Prepare the edible dust by adding some lemon juice. 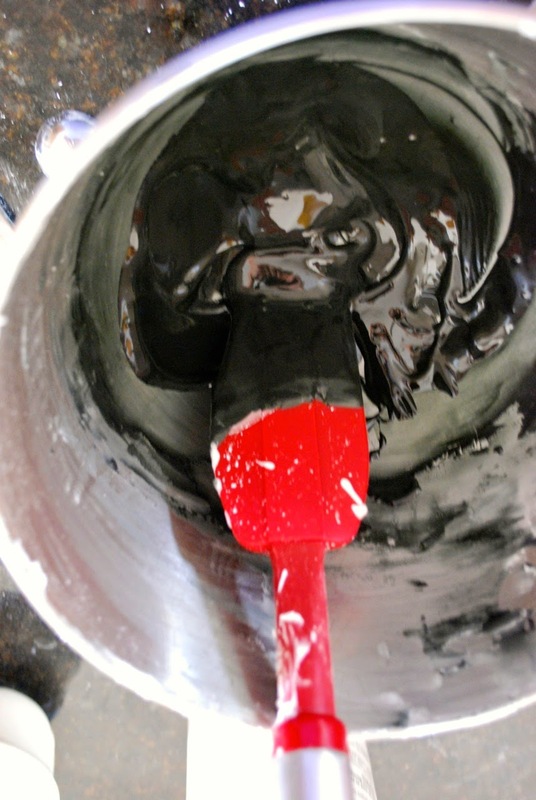 Click here to see how I used it on the spurs of the cowgirl booties. May all of you have a happy and blessed Eid! Many people are on their work at happy new year 2019 messages like in Hospitals there is no holiday at New Year because there work is necessary any time will be an emergency call and the doctors and the other staff should be there available for any Emergency. Black Forest Cake A La Libanese: Happy Birthday to Me!